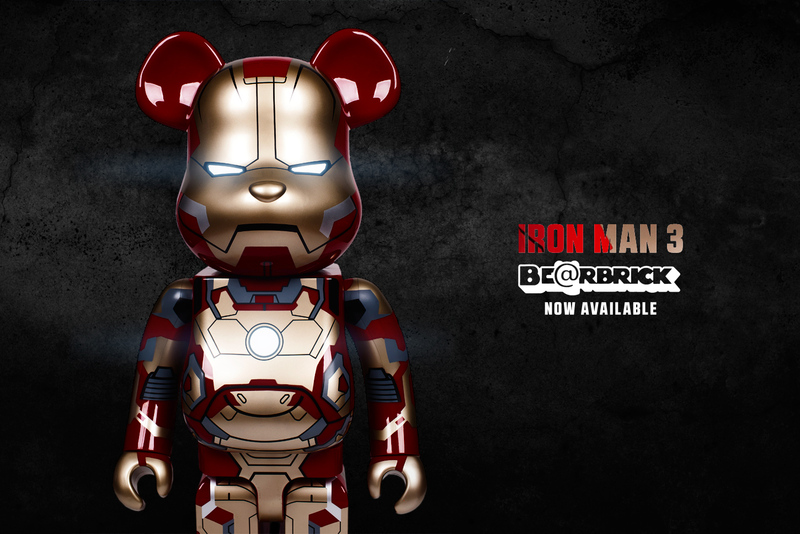 New Iron Man 3 BearBricks are now available. Representing Tony Stark’s MK 42 Iron Man suit, the bears show off their fresh new suits with the iconic red and gold paint scheme and are available in 400% and 1000% sizes. They will be available soon in our Los Angeles and Costa Mesa Illest store location later this week. If you need to grab one now though, just follow the link to our online store here.